The one name that is in all hearts these days is of an actor, a singer and a television presenter that is none other than Diljit Dosanjh, having all the mentioned attributes. Apart from being multitalented and a real rockstar, Dosanjh is also a great Instagram influencer. With his inborn style sense and his entertaining posts on Instagram, he knows very well how to entertain his fans. Also, Dosanjh has joined the ranks of celebrity Instagram influencers by having more than 6 million followers before you know it. His personal branding is so amazingly done that it not only suits him but also keeps it real with his personality. By observing the posts of Diljit Dosanjh, it seems like the ace singer and actor likes to post anything he wants to. But he has become a huge brand in a short period. From his funky outfits to his adorable Insta posts, Diljit always makes sure that he’s in the touch of his fans as much as he could. We all are quite aware of Diljit Dosanjh’s crush Kylie Jenner and how he used to comment on her posts in Punjabi. Diljit knows such posts works best when it comes to organic heart touching brand engagement. Diljit Dosanjh is associated with Coca-Cola, Flipkart and Star Sports Pro Kabbadi. 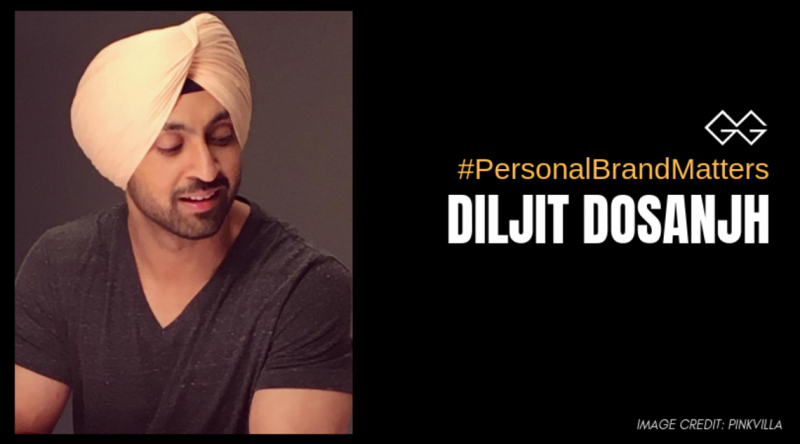 Personal branding is about taking responsibility over how you present yourself, and Dilijit understands how to practice personal branding that is why he’s so much in the news these days, only for good reasons.